For the hard of hearing it can be incredibly difficult to hear their home panel alarm system, which means that it can no longer help them feel and be safe in their home. Because of this, it's vital that they have technology which can help them be alerted by their alarm. 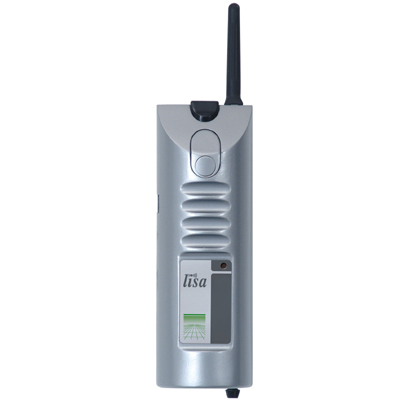 A great addition to any Lisa alert system, the Lisa Alert System TX Alarm Acoustic Transmitter connects to any external alarm as a part of a wider alert system. The included acoustic sensor adheres to almost any alarm system and will detect when the alarm sounds. This enables you to tie almost any panel alarm systems – fire alarms, burglar alarms and more – into your Lisa Alert system. If you'd prefer to have your panel alarm be directly wired to your Lisa system, the Lisa Alert System TX Alarm Direct Transmitter is a great alternative. An adjustable sensitivity dial on the transmitter enables you to tune sensor into detecting only the alarm itself and not other sound. This helps to reduce the risk of false alarms being triggered by background noise. Any and all Lisa alert system receivers in range are alerted by the transmitter, and thanks to how Lisa receivers are configured, the tone or pattern for this event is unique so that you can know right away what exactly needs your attention.